Anna is a performer, choreographer, emerging director, and proud Vancouverite. She grew up dancing competitively and achieved high distinction in her Canadian Dance Teacher’s Association Examinations, receiving gold star medals in Tap and Jazz. She is a proud graduate of the CapU Musical Theatre Program where she spent three glorious years preparing for life as an actor – if you can ever really be prepared. From black-box theatres to Sports Stadiums, school “gym-ator-iums”, and even the Grand Ole Opry – Anna feels fortunate to have a career that runs the gamut of experiences. After graduating, Anna won an Ovation Award for “Outstanding Newcomer” and has gone on to work across Canada and internationally. Her favourite credits include : “Babette” in Beauty and the Beast, “Connie” in Red Rock Diner, “Amber Von Tussle” in Hairspray, “Ado Annie” in Oklahoma!, and “Val” in A Chorus Line. Anna’s skills as a dance captain, understudy, associate, and assistant make her an asset in the room. Always open to the energy and offers flying around the rehearsal space, and sensitive to the intention of the piece, Anna can transition easily between roles. She believes the ensemble members of musicals are truly the hardest working people in showbiz. Anna’s career naturally grew into the realm of choreography. Her style is rooted in research, honesty, and economy of movement. Anna has had the privilege of working on new works premiering in Vancouver such as Mom’s the Word 3, The Raymur Mothers, Miss Shakespeare, and Stationary: A Recession Era Musical. Internationally, Anna has worked as a Mass Movement Choreographer for events such as the Rio 2016 Paralympic Opening Ceremony in Brazil, and the 2017 AIMAG Opening Ceremony in Ashgabat, Turkmenistan. Both Ceremonies had Mass Movement Casts of over 8,000 people. Her most proud accomplishment to date has been co-creating and co-directing CIRCLE GAME: Reimagining the Music of Joni Mitchell together with her husband, Andrew Cohen. The show premiered in 2017 at the Firehall Arts Centre receiving much attention for its innovation. CIRCLE GAME was nominated for 3 Jessie Richardson Awards, and 5 Ovation Awards winning for both “Outstanding Professional Production” and “Outstanding Music Direction”. CIRCLE GAME begins touring across Canada this year. 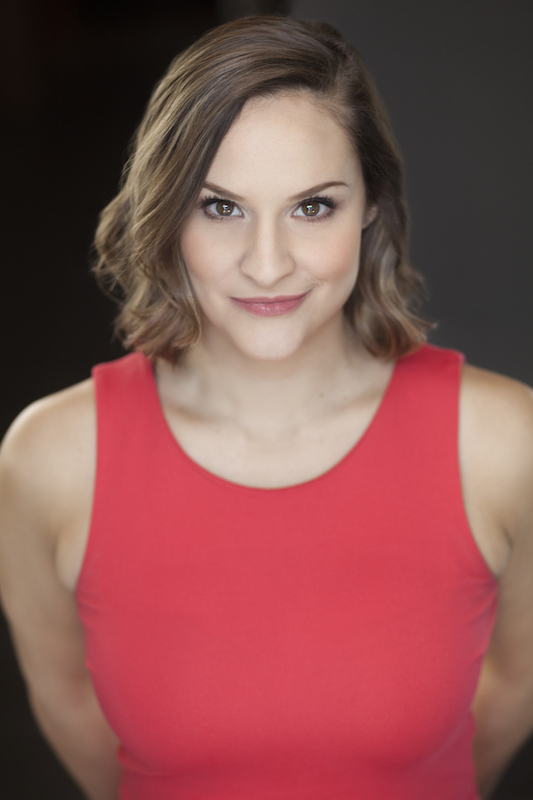 Anna has a passion for working with kids and has choreographed for elite pre-professional training programs such as Gotta Sing, Gotta Dance, Perry Ehrlich’s Showstoppers, All That Jazz Studios in Singapore, and the Notre Dame “Dynamo” Show Choir who have competed all around North America. She has also worked on benefit shows to raise money for children’s charities benefiting Youth Co, Cystric Fibrosis, and Morquio B.